The day came and we packed our things and took an Uber to the Rosebank station. There we bought a Gautrain Gold card- a ticket which looks like a creditcard. The card itself costs R50 and you can load it with money and use it all the time. The trip from Jo’burg to Pretoria cost us R35. This price can vary however, depending on whether you travel during rush hour or not. The Gautrains are very high standard, they’re always on time and the wagons are clean and comfortable. It’s a pity that the Gautrain only covers a very small area in South Africa- from Jo’burg to Hatfield and back. At the Pretoria station, we met a man named “Thomas” and gave him some money and water- and even a swiss coin as a souvenir. When we arrived at our lodge, we were really disappointed at first. The staff was incredibly unpolite and our room had no kitchen- even though we had booked one with a kitchen. 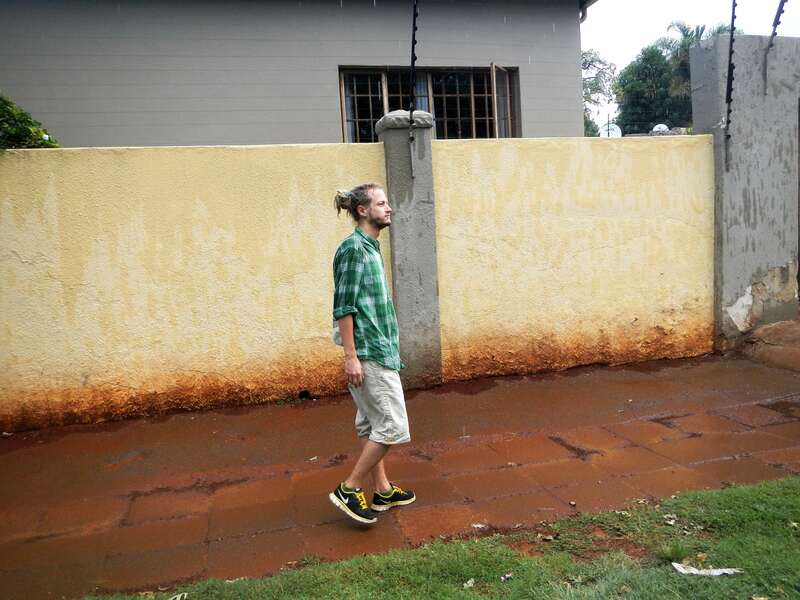 We spent our first day in Pretoria searching for couchsurfing or Airbnb hosts. Everyone we contacted declined. 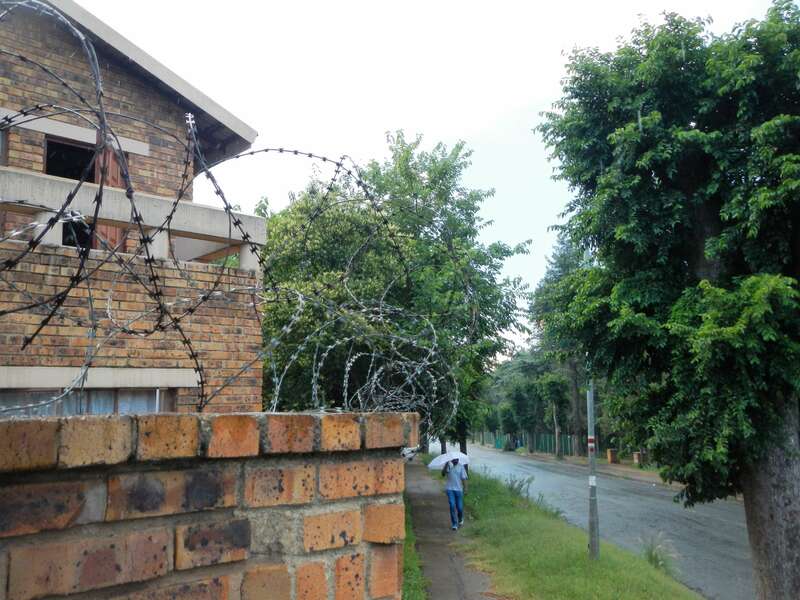 When we finally found an Airbnb place in Pretoria, it was already late. 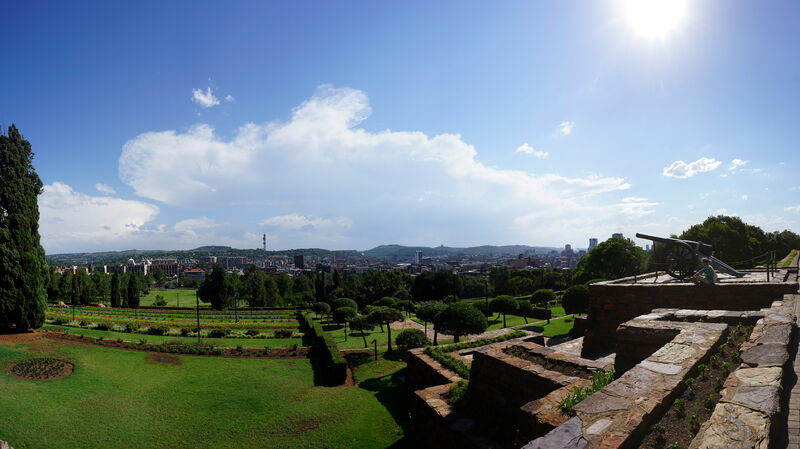 The next day we walked to the Union Buildings and took some nice pictures. We were able to refuse the first man who offered to take a picture of us, because we knew he wanted money for it. In front of the Nelson Mandela statue were several men with cameras. One took our camera out of our hands and insisted on taking a picture of us. Since he was wearing a camera himself we thought he was a tourist. Then he started to take pictures with his own camera, which we thought was weird until he said he’d print them for R20 each. Nici gave in and bought one because the ones he took with his camera were better than the ones on ours. Back at the lodge we were informed that our accommodation in Pretoria was cancelled. Hurray. Since Jo’burg offered way more places to stay, we decided to head back the next morning. That night however, we went out to find some food and ate a delicious pizza without cheese. On our way home we met another man named “Thomas”, who asked us for money. What a coincidence. When we refused, he got angry and started insulting us and following us. He followed us for about 15 minutes and when we tried to ignore him he threatened to call some friends and rob us. Naïve Nici got scared but René knew these were empty threats. When we got loud and told “Thomas” to go away, some people turned around and started to stare so he finally went away. Nici received some delicious south african wine and decided to go swimming. René stayed sober and dry. That’s what one of the girls by the pool told Nici. 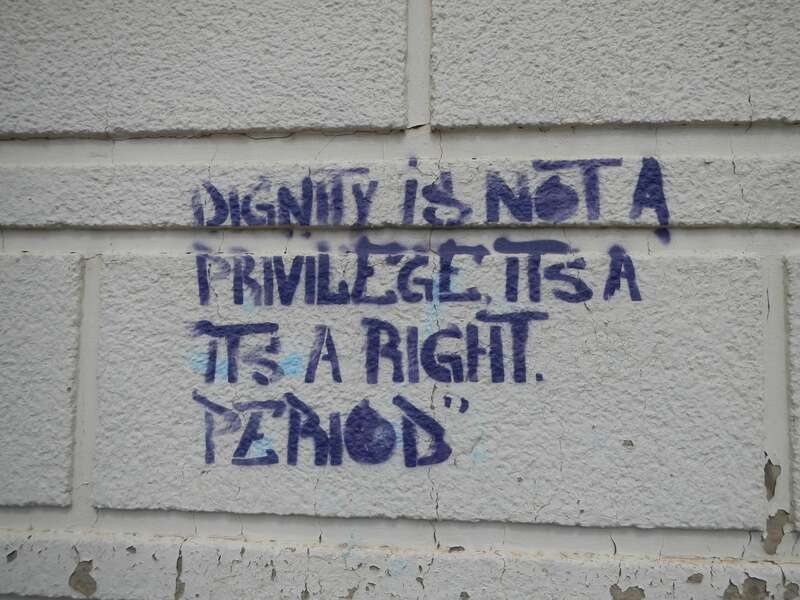 Of course this is something everyone knows but when you hear it from someone who does not have that privilege, it makes you actually realize what it means. While Nici always envied people who live in warm and sunny countries (because of her winter depression), she never properly appreciated the fact that she is able to change her situation, while so many others are not. We are grateful for the opportunity to travel the world and we wonder how we could give that to others. The only thing we have in mind so far is to keep in touch with people all over the world and offer them a place to stay. We used the week we booked here to sleep, eat and relax and of course to work through our to-do list, now with the wifi working. We planned our safari, rented a car, looked for online-jobs, worked on our website and realized how time-consuming the whole blogging-thing is. It’s unbelievable how much time we spend on our laptop, even minor changes on our website take us hours. To be honest, we’ve been binge-watching Dexter these last couple of days, since Supernatural is not available on Netflix in South Africa *cries*. Yesterday we actually managed to leave our room and went to a bank to change some swiss money into ZAR, which turned out to be a complicated process. We had already tried this the day before, but they’d refused to change our money because we hadn’t brought our passports. So apparently this is a thing here in South Africa. No passport- no money. 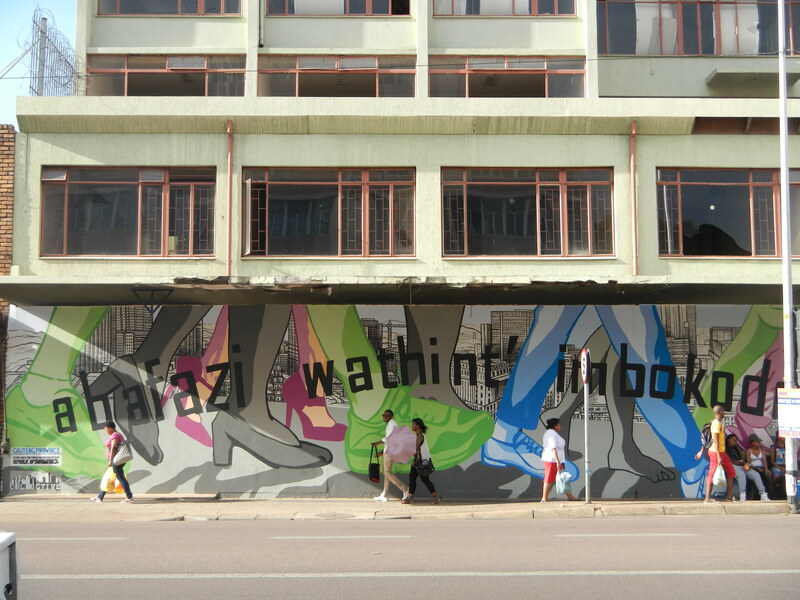 Later we walked through Jo’burg with a bag full of ZAR worth 200 swiss francs. We even went to Newtown and visited the colorful and loud markets, with hip hop music playing on every corner and people offering to refine René’s dreadlocks. And guess what: nothing happened. Anyways, tomorrow we’ll be driving to the monkey sanctuary and later towards the Kruger park. We will be sleeping in a tent on different campsites and we honestly have no idea if we’re going to have wifi there. -…and Nici learned that she can’t give money to everyone or she’ll soon be broke. We’re helping by supporting local tourism and by buying stuff on markets rather than big stores. If we ever feel that someone really needs our help, we’ll be helpful of course.